Everyone has heard of Corporate Social Responsibility (CSR), but do you practice Personal Social Responsibility? As a blogger and an active member of social media, our online presence makes it even easier to spread the word about charitable causes which need our attention. 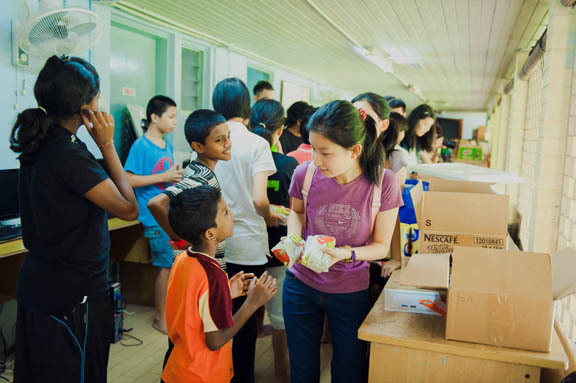 In Penang, Crowdpot Sdn Bhd recently became the event organiser for three local childrens' homes, and with the help of about 40 bloggers and members of the public, distributed food, beverages and gadgets which were sponsored by various commercial entities to the children. The first home, Children’s Protection Society (CPS) began as an initiative of Dato’ Nazir Ariff when he was President of the Rotary Club in Penang (1991). 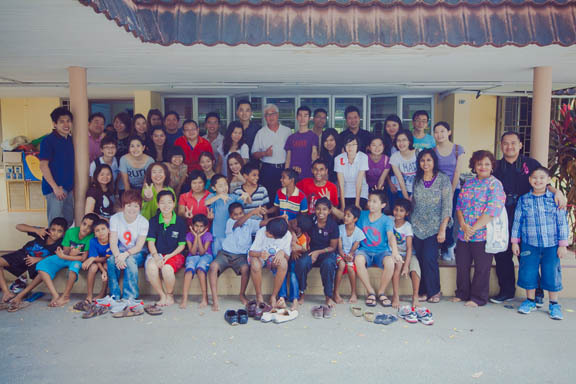 It is a non-profit, non-governmental organization catering to the needs of neglected and/or abandoned children in Penang. CPS was officially launched in April 1992 by Puan Sri Chua Kah Peng. The immediate objective of CPS is to provide children at risk with a safe, supportive and conducive environment. The areas of concern include the emotional and physical development, education, social and recreational skills. At the same time, CPS aims to work with parents and other family members, so that the child can eventually be reunited with his/her family. They hope to support projects to enhance community-based facilities for childcare and development in areas where such facilities are lacking. They also try to promote a more general awareness of the issues relating to children at risk by being involved in training and discussions. Hence they work together with various government and non-government organizations to help to develop long-term strategies and goals. The event was made possible by Crowdpot Sdn Bhd, Ninetology Malaysia, SUBWAY® (Suntech, iAvenue, & Leith Street branches), Chatime Malaysia, Langkawi Saga Travel & Tours Sdn. Bhd. and Alextan Artworks. So how can you help the Children’s Protection Society? Education and Tuition is always needed - many of our children have missed a substantial amount of school due to their backgrounds, and often find it difficult to catch up with school work. If you are prepared for the extra challenges which many of our children face, and are prepared to commit a regular time a week (can be anything from an hour onwards), please click on the link! Talk to any of our staff if you are interested to sponsor a child.